Given below is a set of Sports baseball vector graphics and illustrations that can be used for all your project work and in fact, almost any purpose. Feel free to browse through our selected collection. 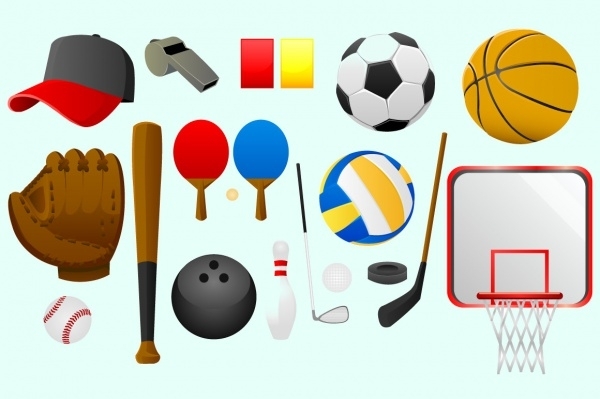 This is a colorful set of images and graphics that represents varied types of sports equipment and can be readily used in all of your artwork or project requirements. It includes skipping rope, stationary exercise bike, etc. 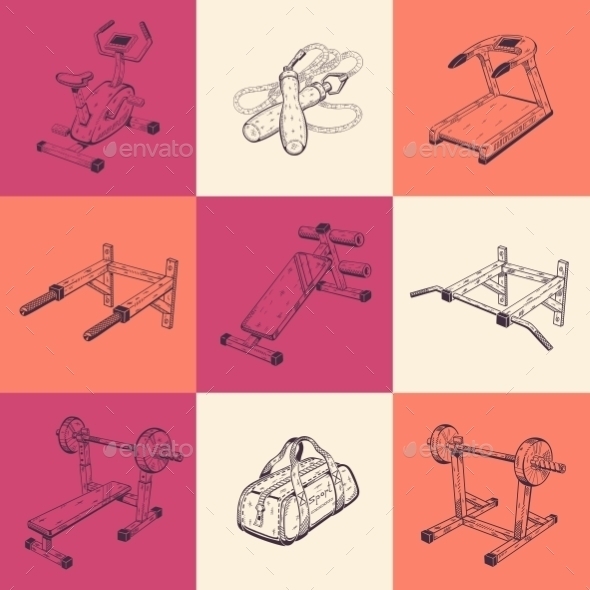 This collection is a set of hand drawn vectors related to the theme of sports and exercise, including but not limited to sports shoes, timer watch, softball, football, and boxing gloves. The main attraction is the simple and classic drawn structure with attractive colors. 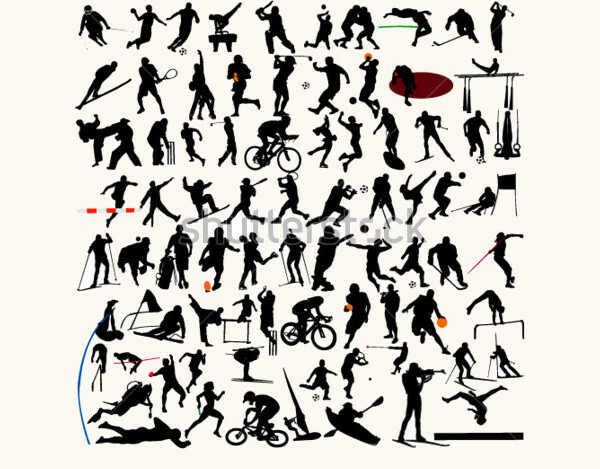 This is a huge set of silhouettes of many types of sports vector and illustrations. 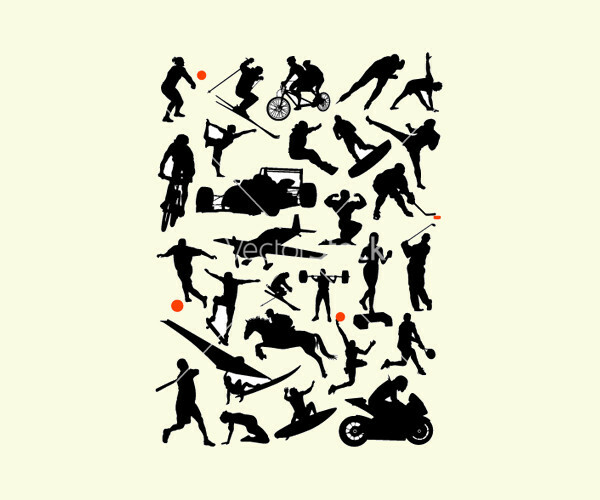 It includes almost all types of famous sports and figures depicting these sports. The main feature here is the simple black and white figure drawing structure. 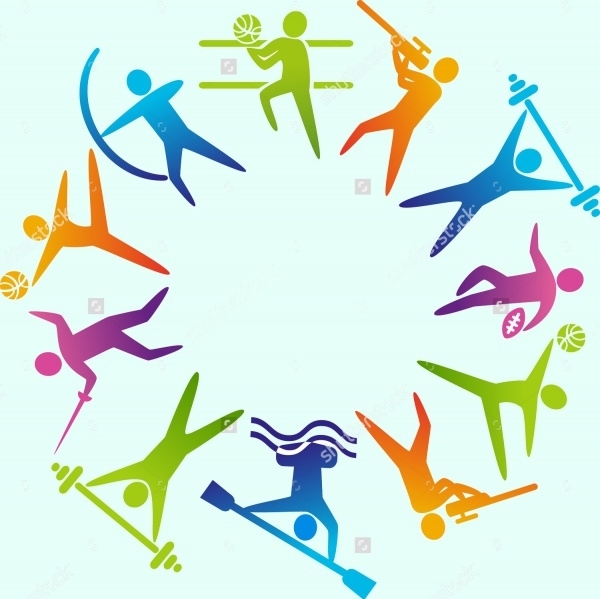 A circular shaped vector of a set of games that includes swimming, tennis and other ball games. It can be used for many purposes and the simplicity of this graphic is the beautiful use of colors. Ever wanted a simply arranged set of tools such as balls that is required for playing the games and sports? 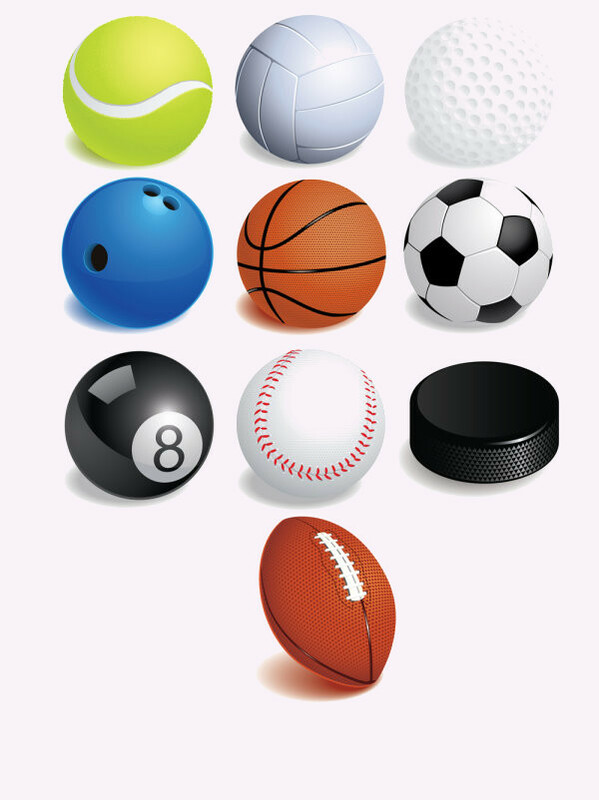 This is a set of sports equipment vector which included balls that are used to play games such as baseball, football, basketball, tennis ball, cricket ball, ice hockey equipment etc. Go retro with this squared set of icons that are simple and elegant with amazing bright colors which will enhance the beauty of any project that you use these icons in. 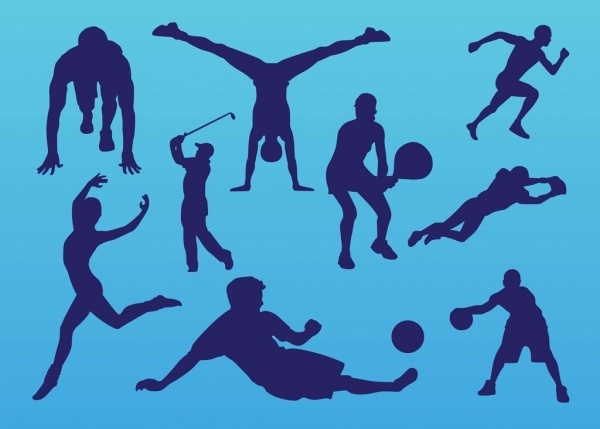 The pack features square colored icons with silhouettes of sports item used in it. 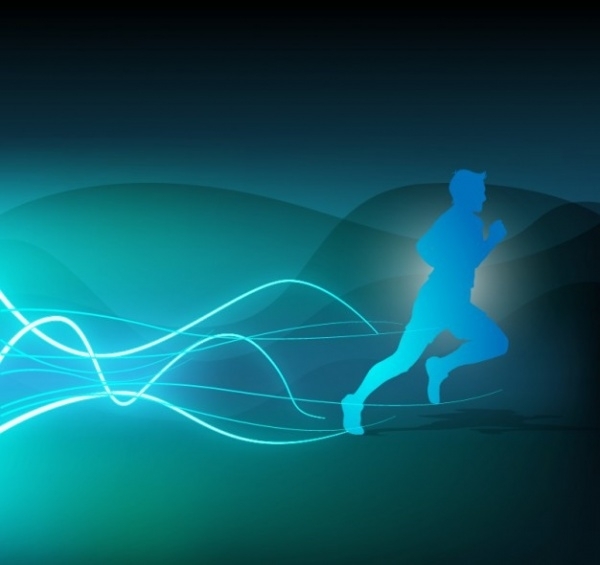 This is a clean and refreshing blue color themed silhouette graphic of a man running. The simplicity of this graphic illustration is further improved by a beautiful blue shaded background incorporated into it. 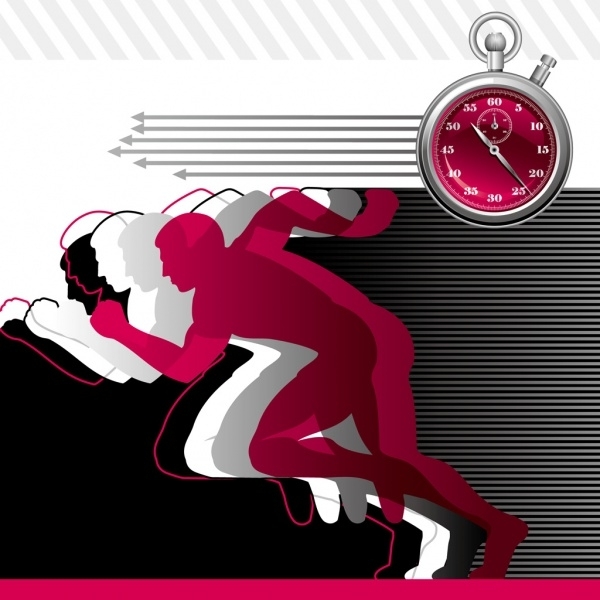 This is a very attractive dynamic sports vector that represents a man running in action with a time clock featured along with him. The color scheme used in it is crimson, white and black, which makes it all the more lucrative to be used. This set provides a relief from the normally used graphics. 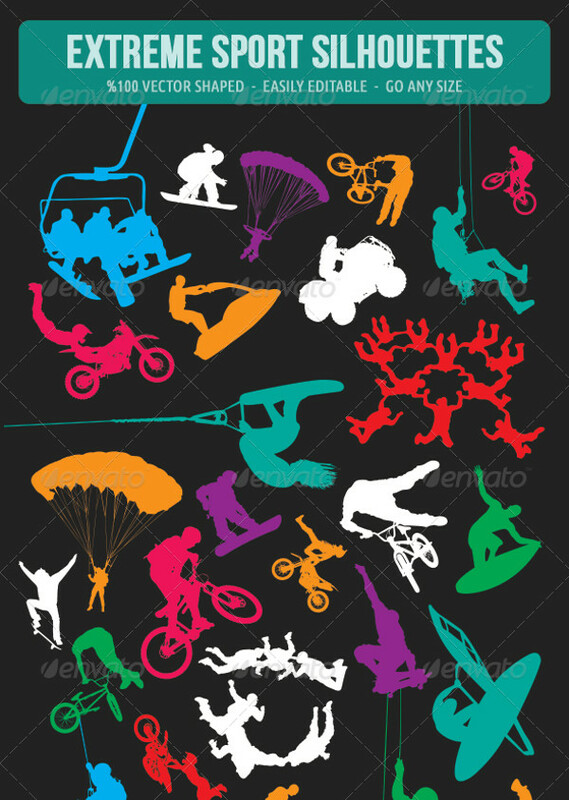 It features extreme sports such as paragliding, surfing, skateboarding etc. in attractive colors on a black background. 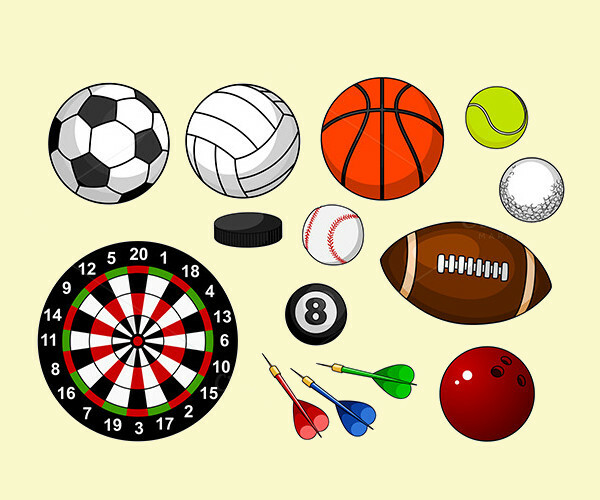 This is a set of sports items with football, soccer rugby, basketball volleyball, tennis, golf, baseball, billiards bowling, hockey puck and dartboard isolated on white background. 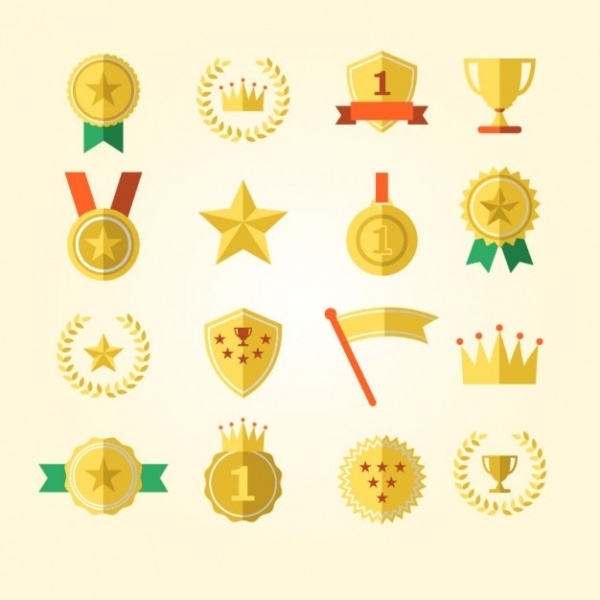 The above set of graphics and illustrations include sports items that can be easily and efficiently incorporated into various artworks and projects of yours. So use these pictures in your project to give it a luring and attractive effect for your clients.